We were quite the crew. Car top carrier strapped on top of the ’69 wood paneled station wagon, dad behind the wheel, mom “backseat driving” from the passenger seat and the three of us kids, each with a friend in tow, stuffed every which way in the middle and “way back” seats. The Beach Boys were blaring from the 8-track and our windows were rolled down—each of us anxious to feel the ocean breeze that meant we had arrived in Carolina Beach. Fast forward almost half a century and oh my, how the times have changed! My husband is behind the wheel of our SUV, I’m navigating with the GPS and our oldest grandson is telling us Siri says we’re in for several sunny, 70° days. Our daughter and her husband, along with the two younger kids, follow close behind. Carolina Beach, ready or not, here we come! We pull into the beachfront hotel and are immediately greeted by a friendly agent at the front desk. When we booked our suite in early January, we knew we were saving a bundle by visiting during spring and taking advantage of shoulder season rates, but just now we’re realizing that another perk of visiting in April is more personalized service and attention, and fewer crowds. After a seamless check-in, we convince the kids to join us for a beachcombing jaunt so their parents can take a break from chaperoning and sample micro brews at some of the new craft breweries and bars in the area. The first item on our beachcombing agenda is to host some competitions. We quickly decide that the winner of the “find-the-biggest-seashell contest” will get to pick tomorrow’s main activity. Naturally, our 10-year-old grandson comes up with a giant whelk shell and chooses surf lessons with Olympic gold medal champion Tony Silvagni (ranked No. 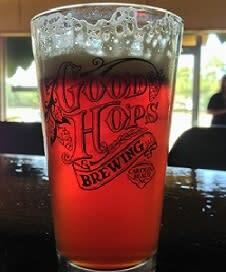 1 on TripAdvisor.com’s list of most recommended things to do at Carolina Beach). We 70-somethings agree it’s a great idea because Silvagni’s surf school also rents standup paddleboards, and we’re sure SUP is more our speed! Our 12-year-old granddaughter, the winner of the “most-perfectly-shaped shell contest” and a future wildlife biologist, decides our second full day at Carolina Beach will be spent with Kayak Carolina on its Sugarloaf Dune Hike and Paddle Tour. She read that Carolina Beach State Park, where the tour’s hiking takes place, is an ideal habitat for coastal wildlife and is determined to capture some action shots of osprey and pelicans diving for fish. 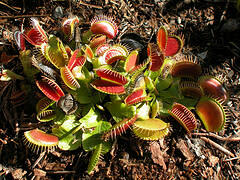 Her brothers don’t share the same level of enthusiasm for bird watching, but after hearing that Carolina Beach State Park is home to a Venus flytrap trail (the carnivorous plant grows in the wild only within a 75-mile radius of the area), they start talking about how cool it will be to see the intriguing plants in their native environment. Shells in our pockets, sand between our toes and stomachs grumbling, we find my daughter and son-in-law and see if they’re up for some fresh seafood. Inspired by the 19th Annual Pleasure Island Chowder Cook-Off (which takes place each April), we seek out some of the area’s award-winning chowder. Between spoonfuls, we decide to book a private charter fishing trip for our fourth, and unfortunately, final day in Carolina Beach. Dessert involves some serious decision making skills. We end up at Squigley’s, an island favorite that has served more than 4,000 flavors of homemade ice cream for the past 19 years. A “squigley” consists of soft serve style ice cream blended with a variety of mix-ins including candy, fruit, and nuts. As we share its famous “7-Scoop Sandcastle,” we talk about hitting up Artful Living Group while we’re in town. My daughter remembers vacationing at Carolina Beach as a kid and is keen on having her own kids experience some of the community’s unique charm and character. (It’s too bad we won’t be here in May for the Carolina Beach Street Arts Festival.) My son-in-law, who is visiting Carolina Beach for the first time, reminds us that he wants to explore the island by bike before we leave. My grandkids are on board with this idea and immediately suggest renting a surrey bike or two to take a spin around Carolina Beach Lake Park. Clearly they’ve done some of their own homework about our home for the next few days! With all the “tough” decisions made and dinner and dessert behind us, we head back to our hotel. We say goodnight to the two younger generations and decide to sneak out for a night on the town. After all, no visit to Carolina Beach would be complete without a visit to one of the “32 Diviest Dive Bars in America.” After grabbing a drink from Fat Pelican’s legendary walk-in-cooler and taking a seat at the outside “bar” (a repurposed boat), my husband and I do our first cheers of the week. If today is any indication of how easy it will be to keep our brood—adults, teens, tweens and all—happy and having a great time, then it looks like Carolina Beach will be a favorite for not just one, or two, but three different generations! 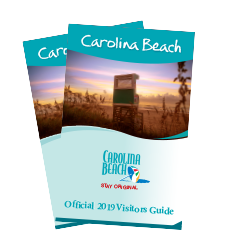 Learn more with Carolina Beach’s free Visitor Guide!